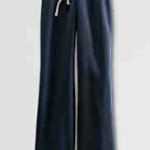 Clothing should be practical so children can move freely and sit comfortably on the floor. Clothing is expected to cover the torso, the midriff, and all undergarments. All branding must be of a size that it can be completely covered by the students closed fist. 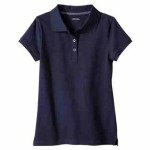 Appropriate clothing can be found at Target or JC Penney’s online under “School Uniforms”. Footwear must be worn at all times on school grounds and must allow the wearer to move quickly without losing the shoe or injuring him/herself. **Please Note!! Danbury and New Rochelle have different uniform policies. Location specifics are listed below. The lockers must be able to hold shoes, jackets and a backpack. All belongings must be stored in a locker. No large backpacks or backpacks with wheels. 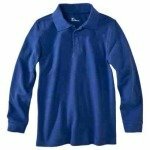 It is required that boys wear shirts with collars and that girls wear shirts/blouses (no t-shirts). 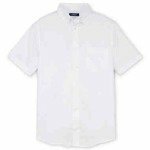 Shirts must have a collar and be a white or solid colored in polo, turtleneck or oxford styles. 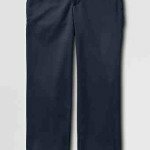 Pants/skirts/shorts/dresses (with collars or collared undershirts) are to be navy colored in traditional chino, twill or corduroy styles. (No Sweats, Jeans, Pajama or Lounge Pants). 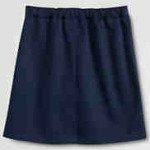 Shorts, skirts and dresses must be long enough so that they reach the fingertips when the wearer’s arms are extended straight down. This includes slits in skirts and dresses. Tight body suits and leggings must be covered by other clothing. 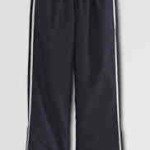 Gym attire will be mandatory for all Lower through Middle School students. 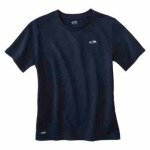 Clothing will need to have the schools logo and follow the same color of navy. The school will have available for purchase; sweat pants, jersey style shirts, shorts, and T-shirts with school logo. 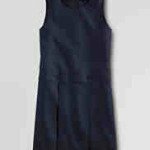 Additionally, you can purchase these items yourself but with the guidelines as follows: ~ Navy color ~tops and bottoms. 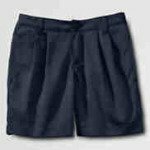 ~ Shorts must be long enough so that they reach the fingertips when the wearer’s arms are extended straight down. 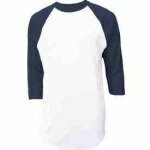 ~ T-shirts or baseball jersey style shirt are permitted with Hudson logo. Tattered, torn or ripped gym clothing will not be permitted, sneakers or tennis shoes are mandatory for physical education. Students not prepared for gym, will be excused from the class, and a note sent home as a reminder of the new gym dress code.